Grave of John F. Clements, Union Church Cemetery, Lanier County, GA.
John F. Clements was born October 7, 1810 in Wayne County, GA , a son of William and Elizabeth Clements. As he was growing up his family lived in a part of Wayne county that was later cut into Brantley County. The Clements farm was situated near the Old Post Road, one of the early roads in south Georgia. Next door to the Clements’ farm lived their friends and future in-laws, the Knights. William Clements had settled his family on land adjacent to the farm of William Anderson Knight, and the two became good friends. William A. Knight, patriarch of the Knight family, was among the very first settlers of Wayne County, having arrived there just after the creation of the county, about 1803. Knight was one of five commissioners empowered by the Georgia Legislature to determine the site of the county seat in the new county, and “when it was done it was located on lands owned by Mr. Knight and by William Clements.” The county seat was named Waynesville. John F. Clements and his siblings grew up with the sons and daughters of William A. Knight. 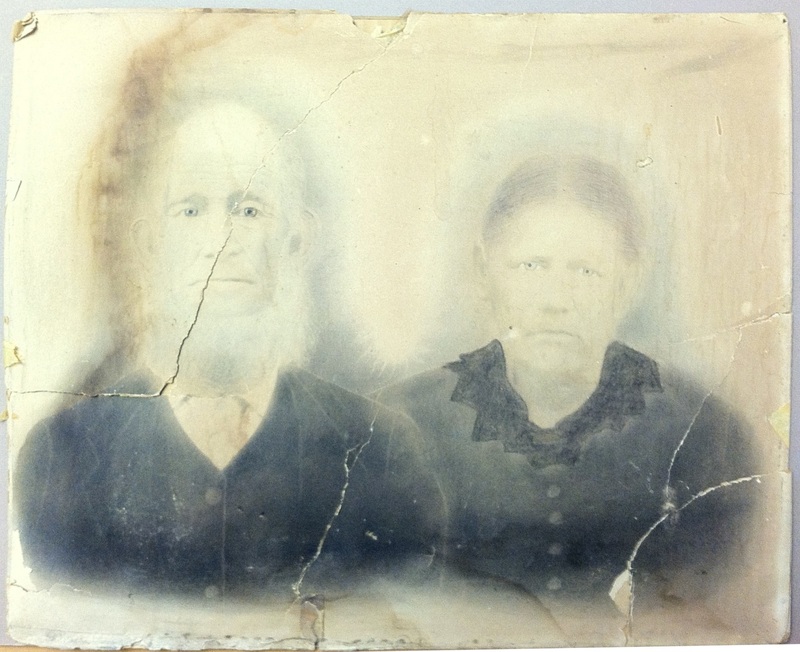 In late 1827 John F. Clements’ widowed sister, Mary Ann Clements Herrin, married Levi J. Knight in Wayne County. Mr. and Mrs. L.J. Knight set out to homestead in Lowndes county (now Berrien) on Beaverdam creek, at the present site of Ray City, GA. In Wayne County, John F. Clements served as Tax Collector for the two year term from 1830-32. He was elected February 12, 1830, with his father William Clements putting up a surety bond along with William Flowers. Shortly after John’s term as tax collector expired, the entire Clements family followed the Knights and made the move west to Lowndes County, GA. He took up residence in Mattox’s District, although tax records do not show he acquired land of his own there. Other Lowndes County settlers in this district included David Bell, James Price, Aaron Mattox, Etheldred Newbern, John Jones, Jr., Michael Peterson, John Peacock, Thomas Giddens, George Hunt, and Frederic McGiddery. In 1832, John F. Clements was a fortunate drawer in the Cherokee Land Lottery, drawing Lot 124, 28th District, 3rd Section, Cherokee County. Lowndes county tax records from 1834-1844 show John F. Clements owned 400 acres of oak and hardwood land in Cherokee County. During the Indian Wars (Second Seminole War) John F. Clements served in Levi J. Knight’s Independent Company of Lowndes County, appearing on a company muster roll from August 15 to October 15, 1838. Knight’s Company fought at the Skirmish at William Parker’s Place, and Actions on Little River, among other local engagements. John’s father, William Clements, died in March of 1837. It is said that he is buried in an unmarked grave in Union Church Cemetery, (now in Lanier County, GA). John served as the administrator of his father’s estate. John F. Clements appointed administrator of the estate of William Clement. Four Months after date, application will be made to the honorable the Inferior Court of Lowndes county, when sitting for ordinary purposes, for leave to sell the land and negroes belonging to the estate of William Clements, late of said county, deceased. John F. Clements, Adm’r. In 1840, John F. Clements was enumerated in Lowndes County. He was 30 years old. His household included another white male, age 40-something, a young slave woman and a slave girl. Neighbors included John Lee, John Roberts, Benjamin Sirmans and John Knight. Later that year he married Nancy Patten, a daughter of James M. Patten and Elizabeth Lee, sister of Jehu Patten. John F. Clement served on the Lowndes County Grand Jury of 1841 which was convened in Troupville, GA, seat of Lowndes County, in May, 1841 under Judge Carlton B. Cole. Levi J. Knight served as foreman of the jury. The jury criticized the condition of roads in the county and the past-due collections for the sale of lots in the town of Troupville. The jury allowed tax collector Norman Campbell thirty dollars, forty-two-cents and three mills for his insolvent list for the year 1839. By 1850, John F. Clements owned 980 acres in Lowndes County, 50 of which were improved. The cash value of the farm was assessed at $500, and Clements owned another $50 in equipment and machinery. His livestock included 4 horses, 37 milch cows, 87 other cattle, 21 sheep, and 100 swine, valued at $1000 taken all together. He had on hand 300 bushels of Indian corn, 40 bushels of wheat, 1 bale of cotton at 400 pounds, 20 bushels of sweet potatoes, 50 lbs of butter, and $125 worth of meat. His neighbors were Aaron Knight, Aden Boyd, Henry Tison and William Giddings. When the Civil War started, John F. Clements was about 49 years old. The 1864 Census for Reorganizing the Georgia Militia enumerated John F. Clements in the 1144th Georgia Militia District. His age was given and 52 years, 7 months. The 1864 Census for Re-organizing the Georgia Militia was a statewide census of all white males between the ages of 16 and 60 who were not at the time in the service of the Confederate States of America. Based on a law passed by the Georgia Legislature in December 1863 to provide for the protection of women, children, and invalids living at home, the 1864 census was a list of men who were able to serve in local militia companies and perform such home-front duties as might be required of them. Possibly John F. Clements was mustered into the 5th Georgia Reserves, Company L. Military records show a J. F. Clements, 1st corporal of Company L paroled May 1, 1865 following the Confederate surrender. John F. Clements died on September 23, 1864 at age 54. He was buried at Union Church Cemetery, Milltown (now Lakeland, GA). Levi J. Knight assisted the widow Nancy Clements with the administration of the estate. At the time of his death, the Clements farm place was on six hundred and six acres of land situated on parts of Lots of Land No. 381, 356, and 335 in the 10th District of Berrien. His widow, Nancy Clements, was left to run their farm, provide for the six of their children who were still at home, and care for her aged mother.